Jelly Bean tablet supports voice calling; features 1.5 GHz CPU and powerful battery. Android 4.1 (Jelly Bean), Google Play Store support. 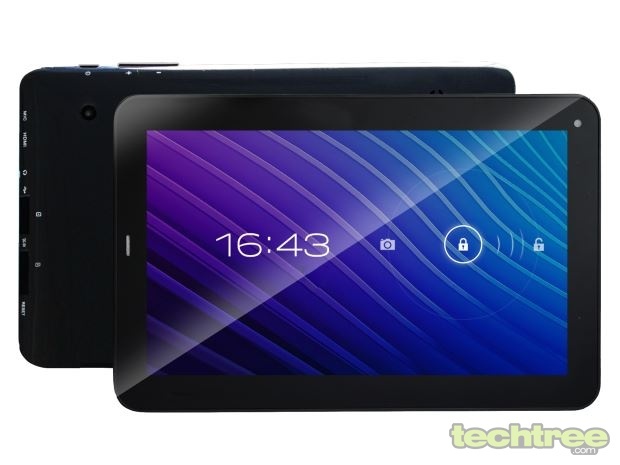 7" capacitive touchscreen, with pixel dimensions of 1024x600. 1.5 GHz ARM Cortex-A9 CPU, Mali-400 GPU. 4 GB internal storage, Up to 32 GB microSD support. 2 megapixel rear camera, 0.3 megapixel front camera. 3500 mAh Lithium Polymer battery with up to 5 hours backup. One of the notable features is the 3500 mAh battery. It is known that touchscreen devices quickly consume a lot of power, so a large capacity battery should be able to solve this issue. The ample 1 GB of RAM addresses one of the grievances and bottlenecks associated with low-cost Android tablets and the hi-res screen should be good to look at. The Salora Fontab is available for an MRP of Rs 6900, which seems to be a good price for what you are getting.